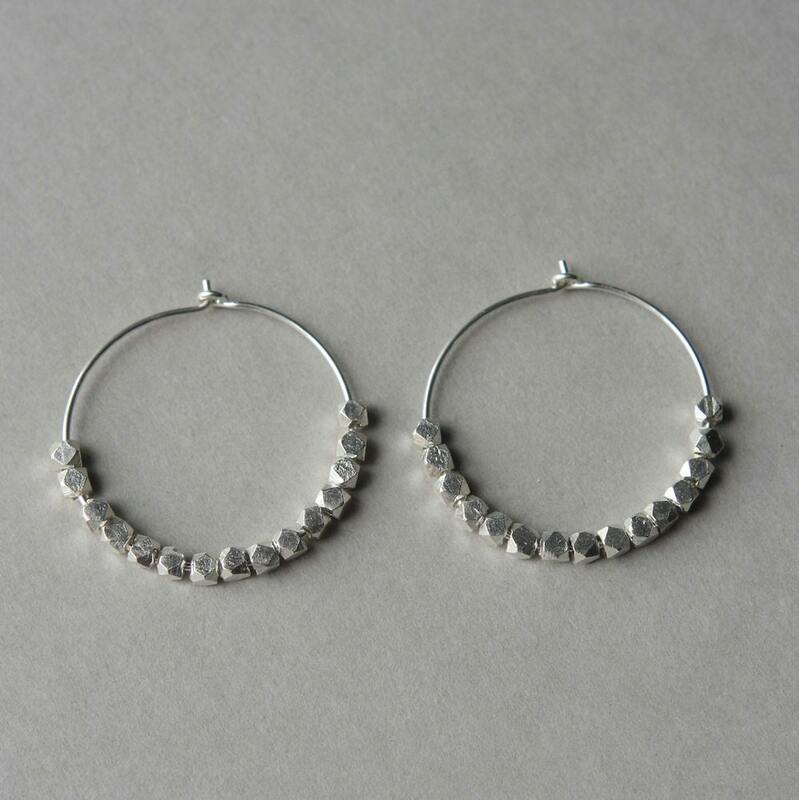 You can never go wrong with hoops! 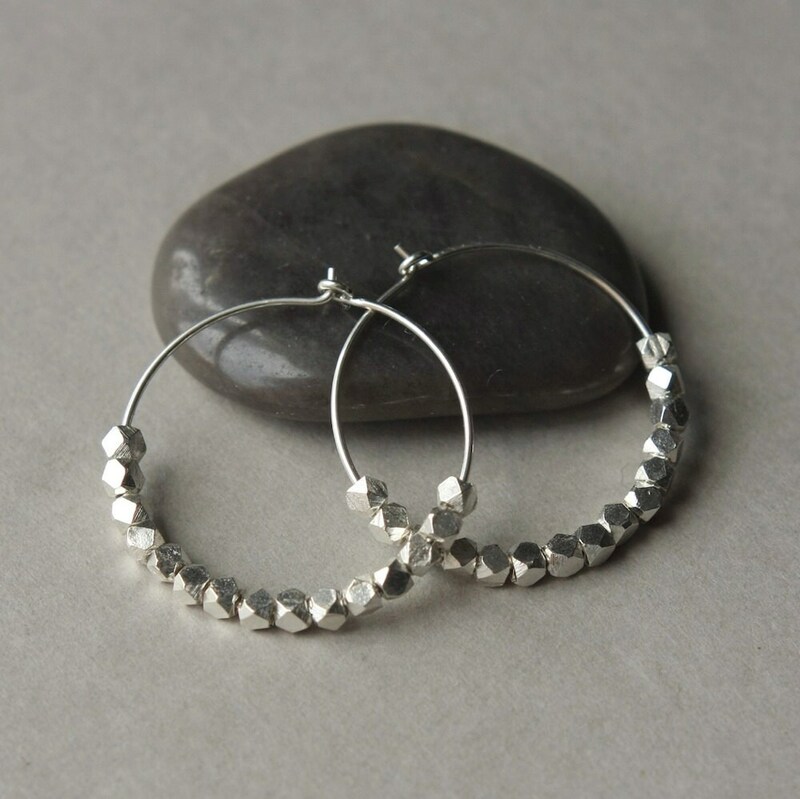 These ones are a great size for every day and have a gorgeous sparkle that will complement any look from casual to dressy. 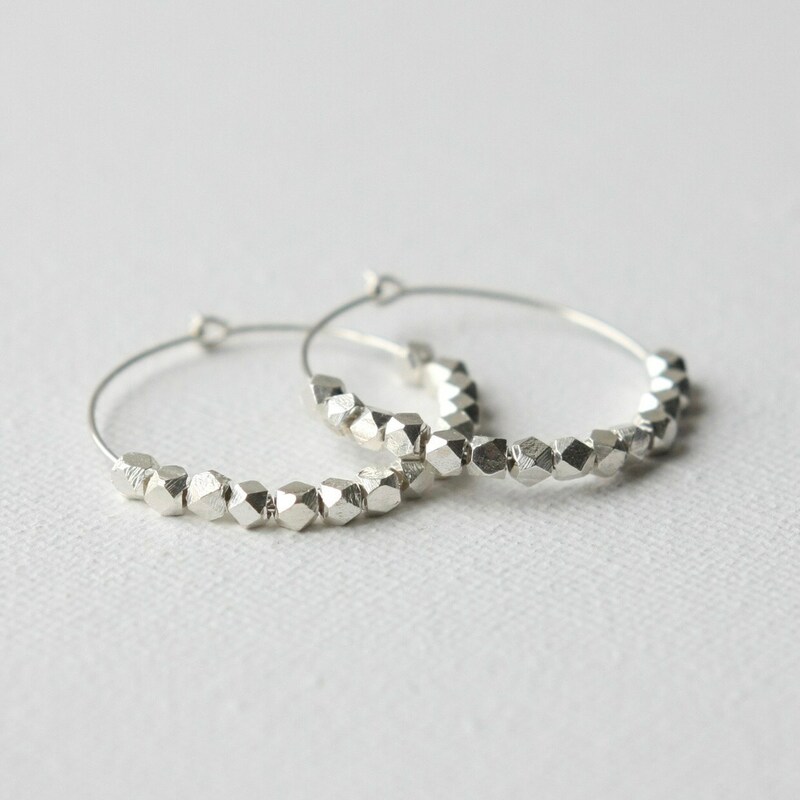 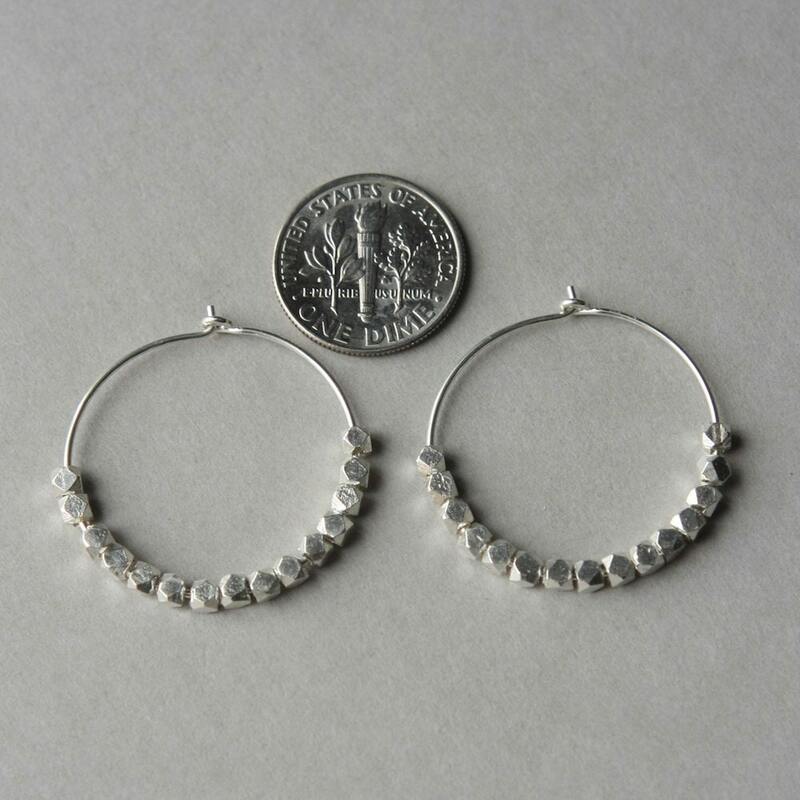 The sterling silver hoops are 26mm (one inch) wide and feature free floating 3mm bright sterling Thai silver nuggets that have a contemporary modern vibe. 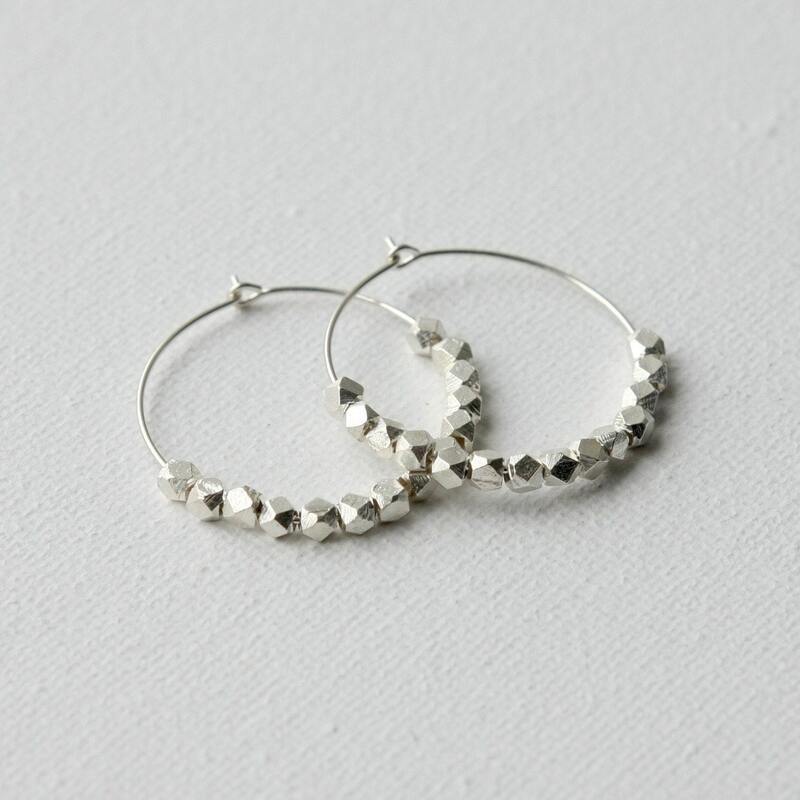 The facets on the nuggets catch the light for a beautiful shimmer and shine.